WASHINGTON, January 30, 2019 – The Department of Homeland Security (DHS) is changing the USCIS regulations on the H-1B program starting for April 1, 2019 H-1B cap season, with the biggest changes taking effect during the April 2020 H-1B cap season. Starting in this year’s H-1B cap season that kicks off on April 1, 2019, USCIS will skew the selection of new H-1B visa petitions in the annual H-1B lottery to favor job candidates with US Master’s degrees or higher US degree. Under the new rules, USCIS will run the lottery for the general cap of 65,000 new H-1B visas based all submitted visa petitions. 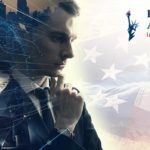 Thereafter, USCIS will run the lottery for the Master’s cap of 20,000 new H-1B visas from any remaining unselected job candidates with a Master’s or higher degree from a U.S. institution of higher education. USCIS estimates that this change will increase by 16% (or 5,340 job candidates) the number of H-1B visas granted to job candidates with a US Master’s degree or higher US degree. 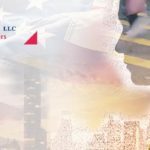 USCIS will begin accepting H-1B cap petitions for FY 2020 on April 1, 2019. USCIS will provide H-1B cap filing instruction on uscis.gov in advance of the filing season. 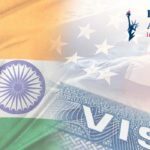 The new H-1B regulations will also create a new online employer registration system for the FY 2021 H-1B lottery. USCIS is thus pushing ahead with its plan to make it easier for employer to participate in the annual H-1B lottery, but is postponing that change until next year. Once implemented in 2021, the electronic registration system will involve a two-step visa process. First, employers will electronically register with USCIS during a defined registration period. Second, USCIS will run the annual H-1B lottery based on employer registrations instead of complete visa petition files. USCIS expects that the electronic registration requirement, once implemented, will reduce overall costs for petitioners and create a more efficient and cost-effective H-1B cap petition process for USCIS and petitioners. USCIS plans to announce the 2021 electronic registration period at least 30 days in advance. 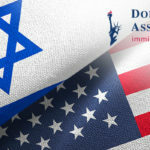 For additional inquiries regarding changes to the H-1B visa system, please contact Donoso & Associates using our on-line free evaluation form found at the top of this page. 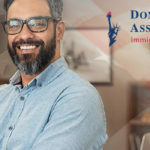 Donoso & Associates is a nationally recognized immigration law firm based in Washington, D.C. with particular expertise advising employers and investors in complex visa processes.